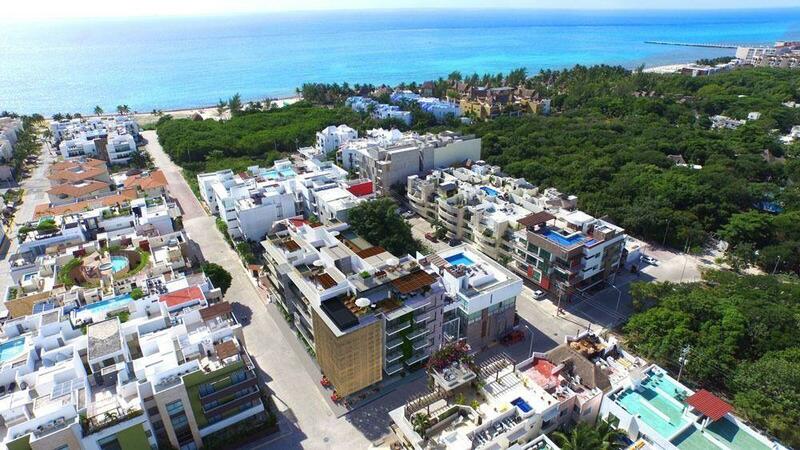 Aldea Thai is one of the newest, most beautiful condominium property in Playa del Carmen. Located on the famous Mamitas and Kool beach, the condominium offers a large Thai-Balinese style swimming pool. This 2 bedroom, 2 bath condo has all the amenities of home including a fully equipped kitchen.1 King bed, 2 queen beds, one . Breathtaking floor to ceiling views of the Caribbean are captured by the fully extendable sliding glass doors. First floor suites are fully wheelchair accessible and an elevator provides easy access to suites located on upper floors. Although the sea breezes may be just what the doctor ordered, both central air and ceiling fans will allow you to create a perfect climate for your comfort. Wireless internet is available as well national and international satellite television channels. Freshly laundered high quality towels and linens are provided, and other little touches such as beach chairs and umbrellas. An on-site concierge is available to answer questions or provide suggestions and is supported by 24-hour security personnel, a dedicated housekeeping staff, a private chef, and talented groundskeepers (EXTRA CHARGE). The grounds open onto multiple common areas including a large palapa, poolside retreats offering sun or shade, grassy expanses in a landscaped park-like setting, and all of the furnishings you’ll need to settle in to your dream vacation.